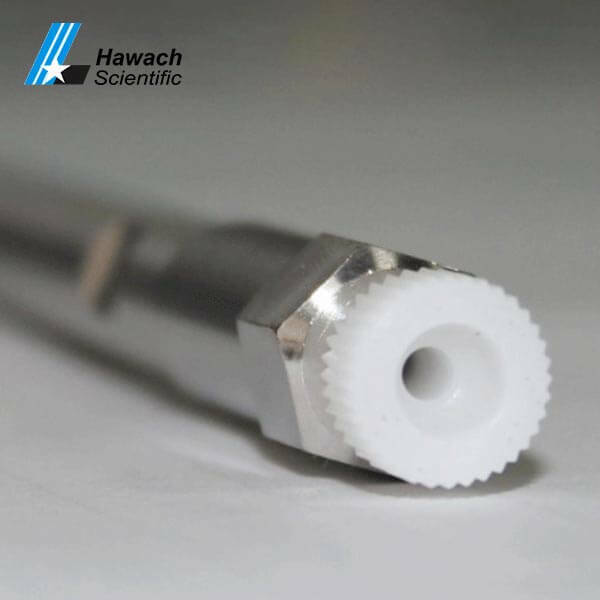 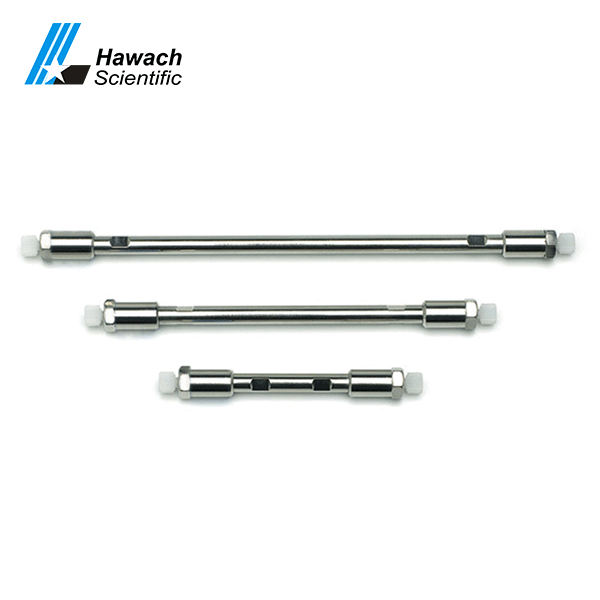 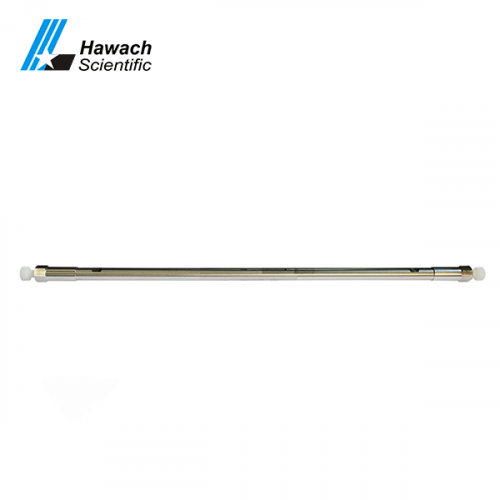 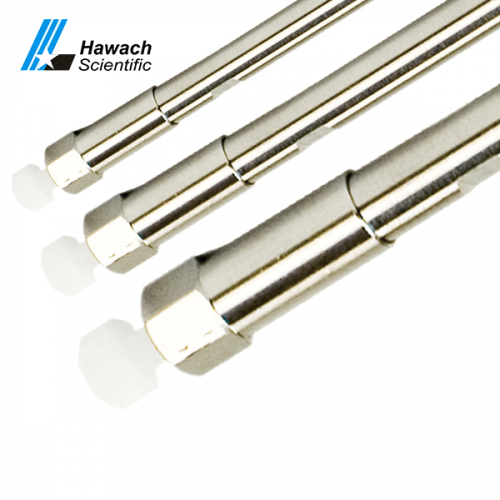 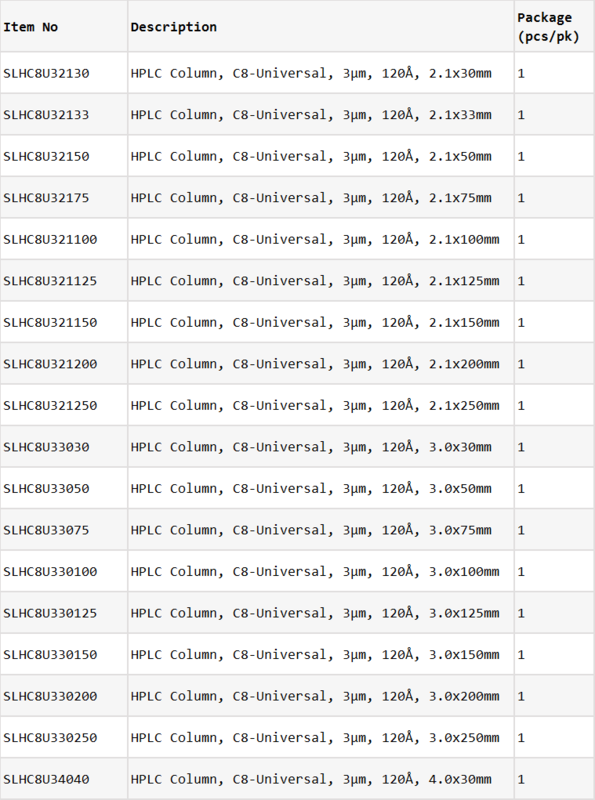 C8-Universal HPLC Column from Hawach Scientific Co., Ltd adopted ultra-pure silica gel substrate, and the fully double end-capped bonding process. It has a slightly less selectivity and retention capability than C18-Universal HPLC Column, so as to be recommended for the separation of strong hydrophobic compounds and used in LC/MS instruments. 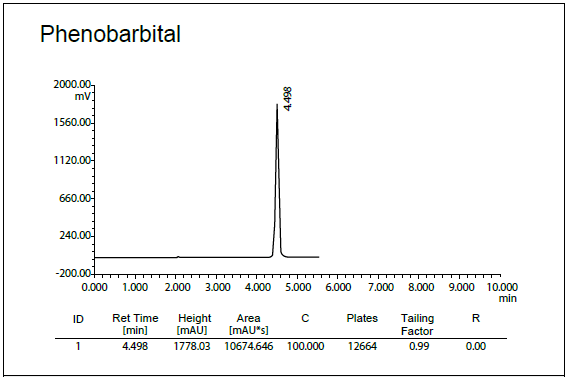 Analysis under the same HPLC conditions, C8-universal requires to shorten analysis time than C18-universal when it was separated from neutral or other compounds which retention capacity is strong.